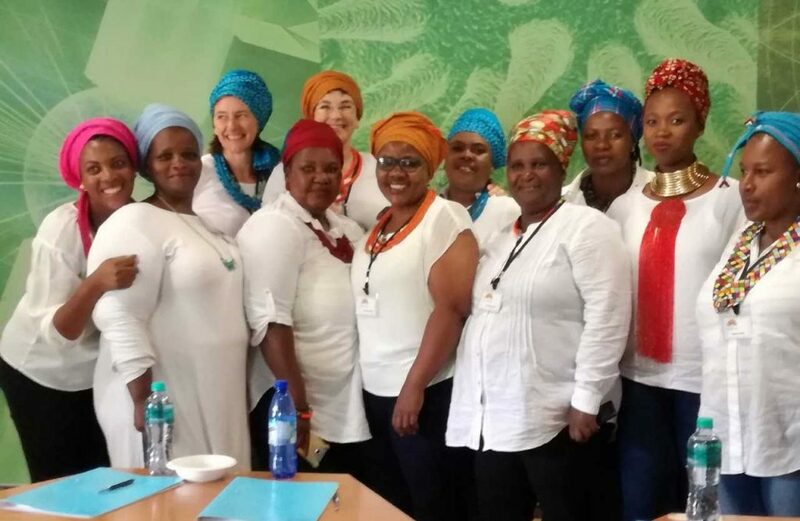 The DTHF team at the Gugulethu Research Offices (GRO) under the direction of local Principal Investigator, Assoc Professor Catherine Orrell, has been involved with this adherence study for the past three years. The aim is to contribute to the work being undertaken on adherence to antiretroviral therapy (ART) to achieve an AIDS-free generation. This is the most comprehensive study to have been undertaken to understand ART by stage of HIV infection in sub-Saharan Africa. There were eleven sites, seven in Mbarara, Uganda and four within the Klipfontein sub-district of Cape Town. The dissemination of findings to stakeholders took place at UCT on 30th January. The META Study Team at the dissemination meeting on 30 January 2018. We were joined by the main Principal Investigator, Dr Jessica Haberer, from Massachusetts General Hospital and Department of Medicine, Harvard Medical School, as well as our research colleagues from Mbarara led by local Principal Investigator Dr Bosco Bwana for this event. Other researchers at the Massachusetts General Hospital Center for Global Health have contributed to this project and we were delighted to have Dr Alexander Tsai, Dr Lynn Matthews, and Dr Ingrid Katz with us as co-investigators. Technology is fast-tracking medical research. For the purposes of this study, participants who are living with HIV had their pill taking habits tracked using a ‘Wisepill’ electronic device loaded with the pills they needed to take daily. When the device is opened a signal is sent to the research centre website. The participants were seen as they started ART, and again only at 6 and 12 months. There was no communication between the research sites and the participants in between these visits, apart from reminder phone calls that the visits were due. However, participants remained in care within the clinics from where they received their monthly ARV treatment. They were enrolled into three groups; those with advanced disease (CD4 <200mm3, or WHO stage 3 and 4), those with early disease (CD4 >350mm3, and WHO stage1), and pregnant women also at (CD4>350mm, and WHO stage 1). Adherence in the South African population was much lower than in Uganda. All groups in Uganda achieved 90% adherence at 6 and 12 months. Pregnant women in South Africa were shown to be the most vulnerable in terms of adherence, with only 30% adherence and only 60% achieving viral suppression by the end of the year. Those who started ART when they were ill in South Africa, also struggled with ART, with 45% adherence and only 70% achieving viral suppression. It was interesting to see the reasons for these differences and the conclusion that although there were similar challenges in the two settings, such as food insecurity and distance from the clinic, multiple behavioural factors may still vary by setting and impact on pill-taking behaviour. The study also revealed some of the reasons why the pregnant women found adherence difficult. They may be tired, lose their job or cannot work, with loss of income they cannot pay for transport to the clinic. They also suffer food insecurity and then cannot take their ARVs on an empty stomach. These are hidden factors that are not easily overcome. Much has been learned, including that the ‘Wisepill’ is the best tool to date to record adherence. With treatment readily available the greatest challenge for those working to end the HIV epidemic is to ensure that individuals living with HIV remain on treatment.